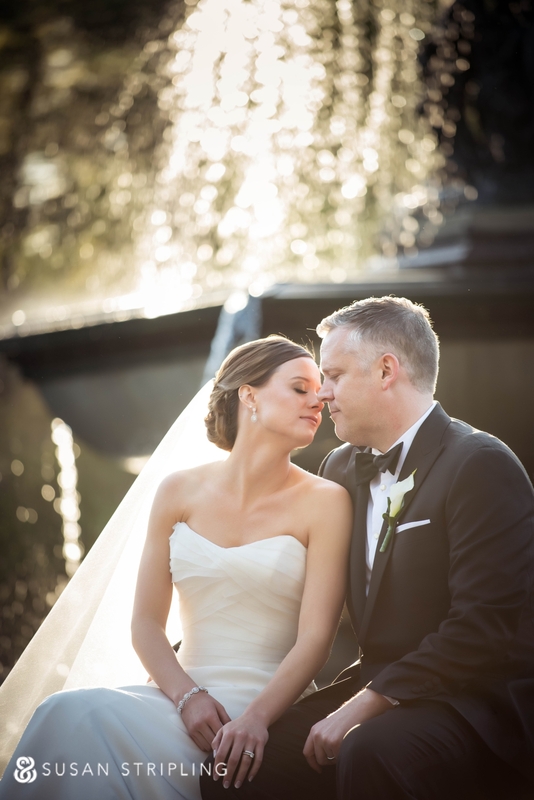 There is something so special about a wedding at the Central Park Boathouse. There are few venues that embody the iconic New York feel of the Loeb Boathouse, and few places in New York with such a brilliant park right outside the front door. 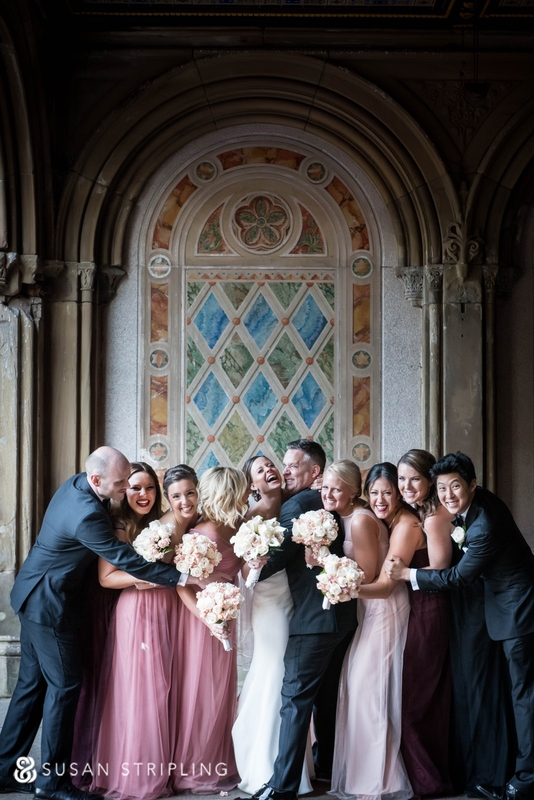 A feature in many movies and TV shows set in New York such as Gossip Girl, 27 Dresses, and more, Bethesda Terrace is one of my favorite portrait locations in Manhattan – and it’s adjacent to the Boathouse! It’s such a seamless transition from the portrait session to the reception, and I can think of few locations in New York with such ease and beauty. 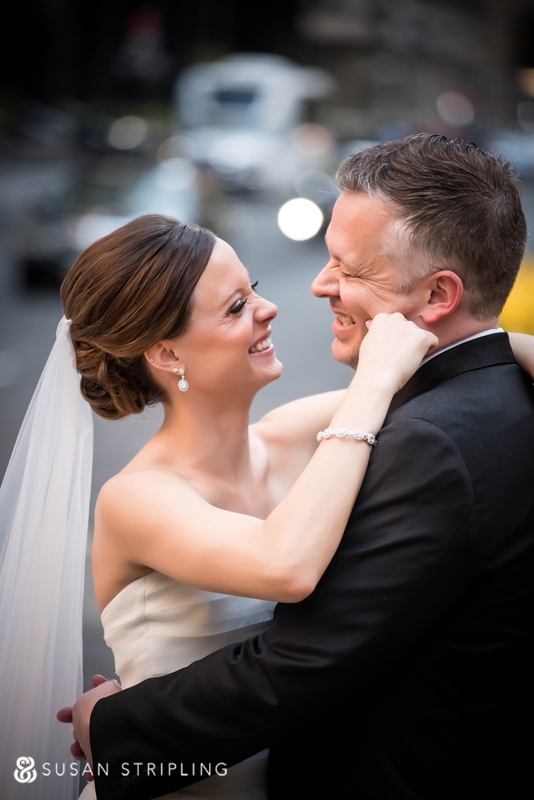 Before the wedding at the Central Park Boathouse, we started the day at the elegantly modern Mark Hotel. I’m a huge fan of the geometric floors in the lobby, which are carried throughout each perfectly appointed suite. The bride’s suite had brilliant natural light. It was the perfect backdrop for the getting-ready part of the day! How exceptional are these Chiara Ferragni shoes? You can remove the little red heart and velcro on dozens of other quilted symbols. The bride wore these amazing sparkly silver shoes to her wedding reception when it was time to retire her Stuart Weitzman heels for the night! Alex Jenkins of Taffeta Hair and Makeup Design was on hand to create the bride’s wedding day look. She was also there post-ceremony to touch the bride up before family portraits. She did a marvelous job! Just after she was dressed, the bride put her engagement ring back on. 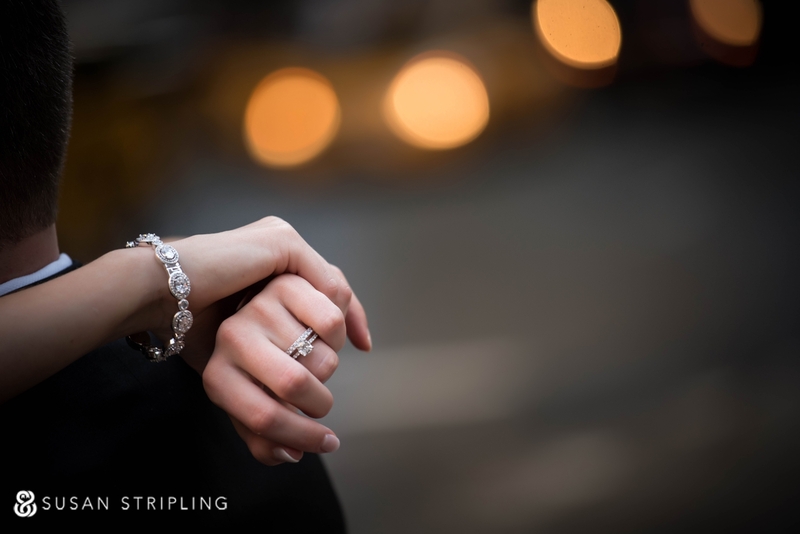 Many brides opt to wear their engagement ring on their right hand for the wedding ceremony. This way the wedding band goes on easily. 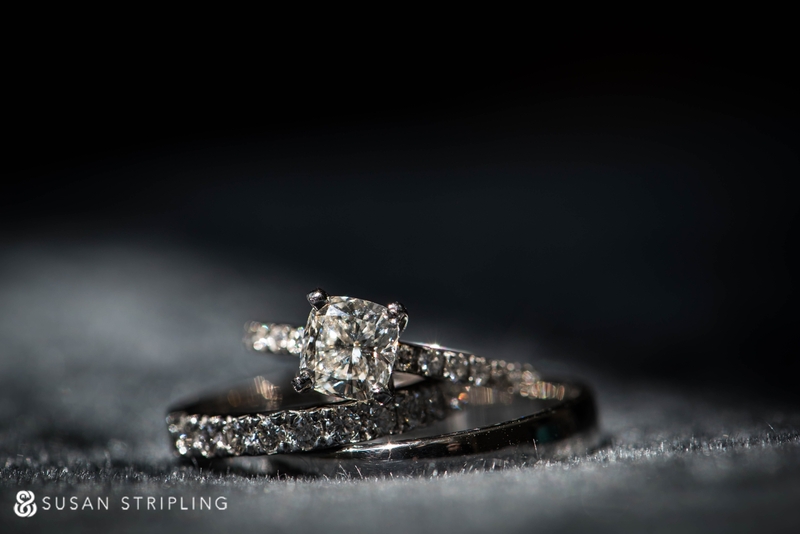 After the ceremony, the engagement ring gets switched back to the left hand, and rests atop the new wedding band! 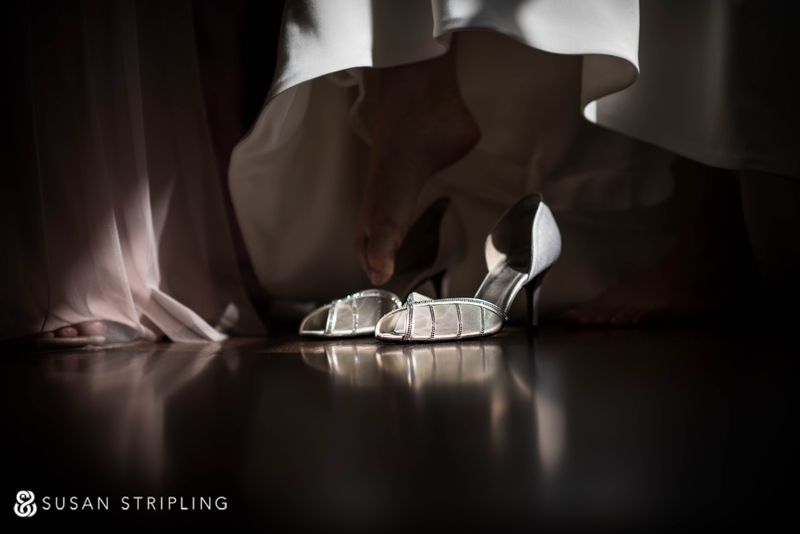 The bride wore these delicate Stuart Weitzman heels for the ceremony, portraits, and most of the reception. I love when beautiful light presents itself at just the right time, which is what happened here! We placed the shoes into the pool of light, and let the bride step in when she was ready! 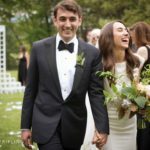 While the “first look” trend between couples has been popular for years now, the “first look” with the father of the bride is a newer trend that I particularly love. It’s really sweet when a father sees his daughter as a bride for the first time. This particular “first look” did not disappoint. The bride and her family are wonderful, loving, warm people, and this moment is such a beautiful representation of the amazing relationships they have with each other. 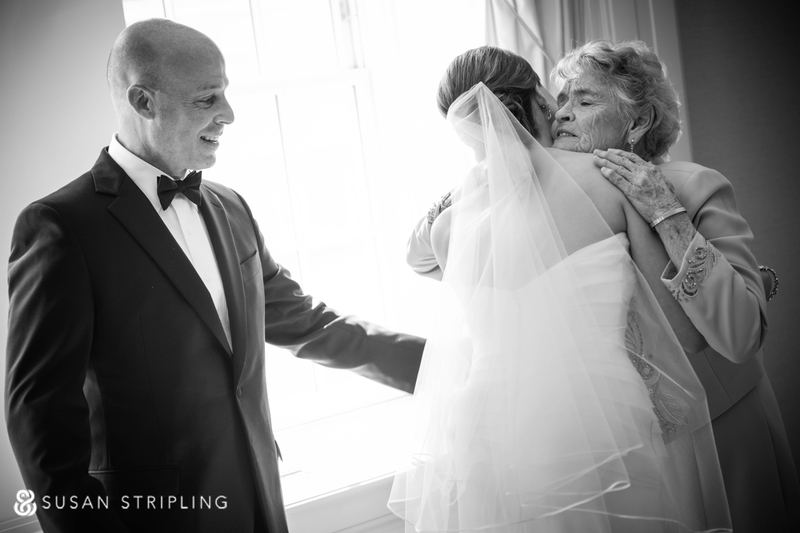 After the bride saw her father for the first time, her grandmother came into the room. It was amazing to see her greet her family. 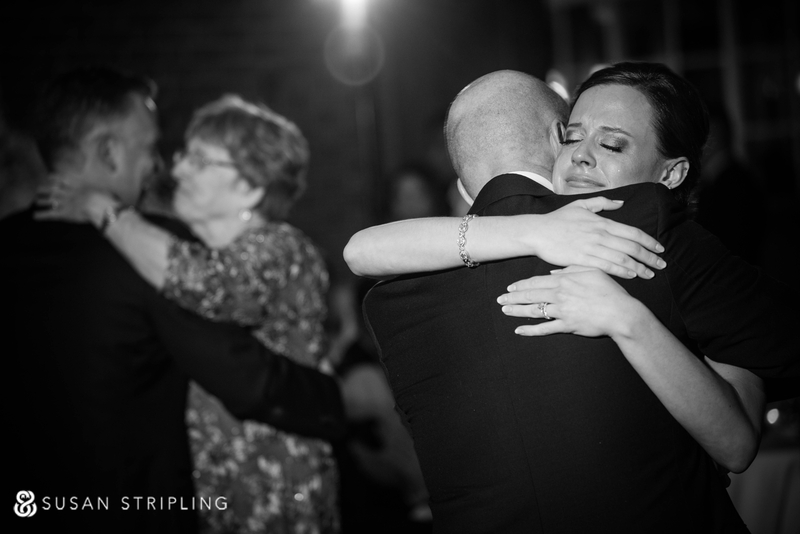 As a wedding photographer, you can make sure your clients are in great light, you can direct what door people enter from, but you cannot create moments like this without natural emotion. 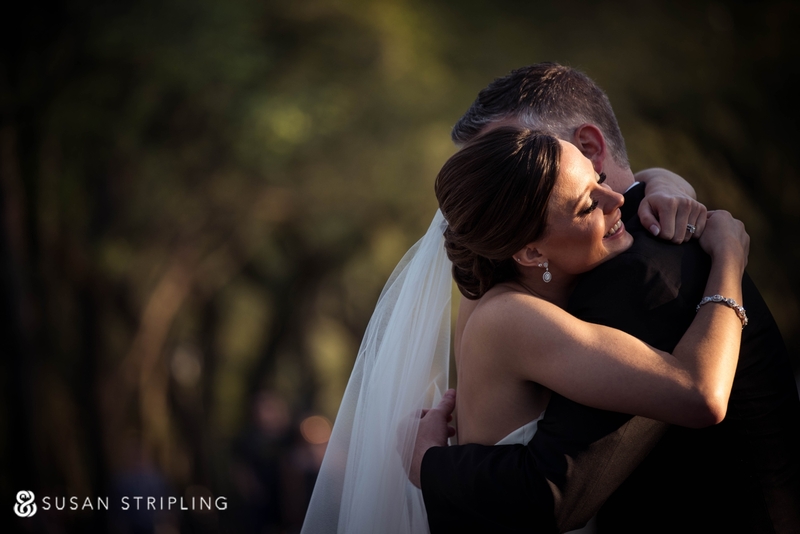 These moments are my clients’ own, and I am always so honored to witness and document them. The moments went on and on, and all I had to do was watch and witness. The bride’s mother and father are incredible people, her brother is warm and funny, and her sister is joyous and sweet. I truly can’t express what an honor it was to get to know these fine people and document their day for them. 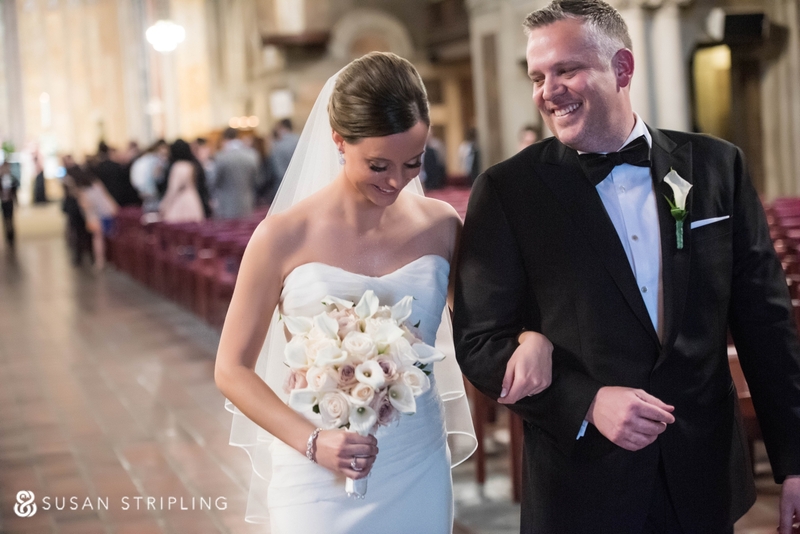 The ceremony took place at St. Bart’s church in Manhattan. 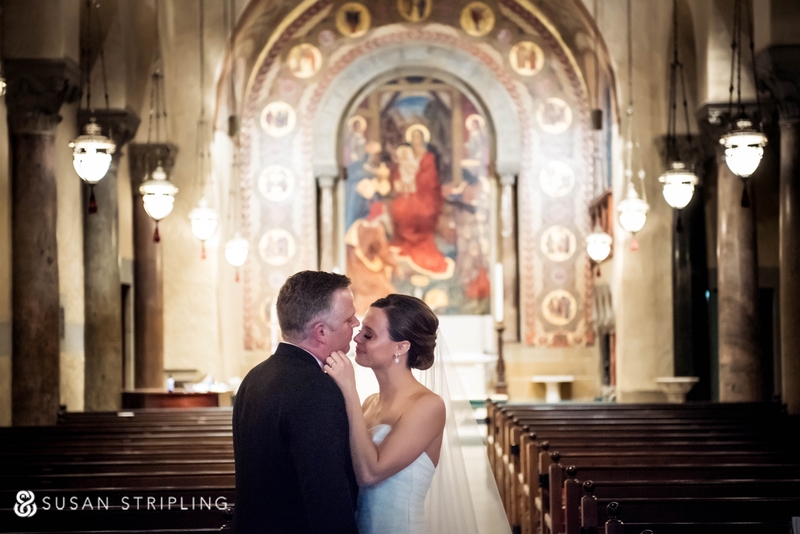 St. Barts is a gorgeous church with soaring ceilings, amazing architecture, and a beautiful long aisle! 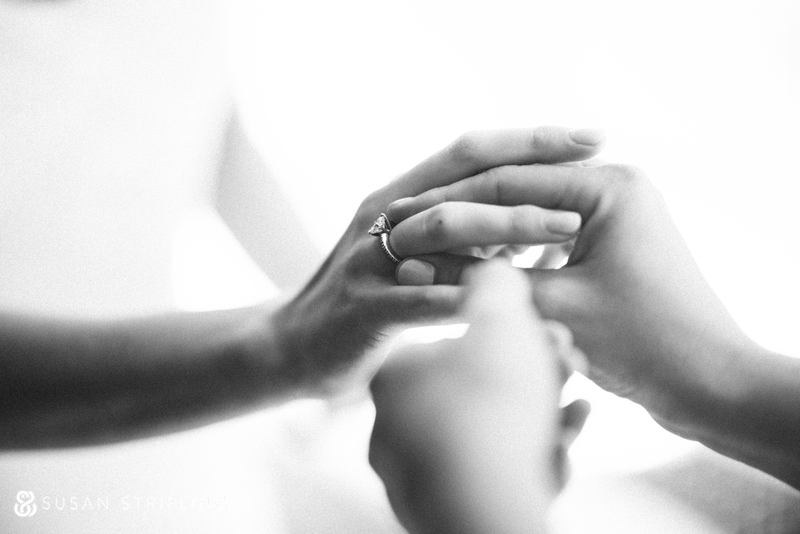 I always adore the moments just after the wedding ceremony when the couple recesses back down the aisle. There are always chances for wonderful images like this one! I love how the groom is looking at his new wife! 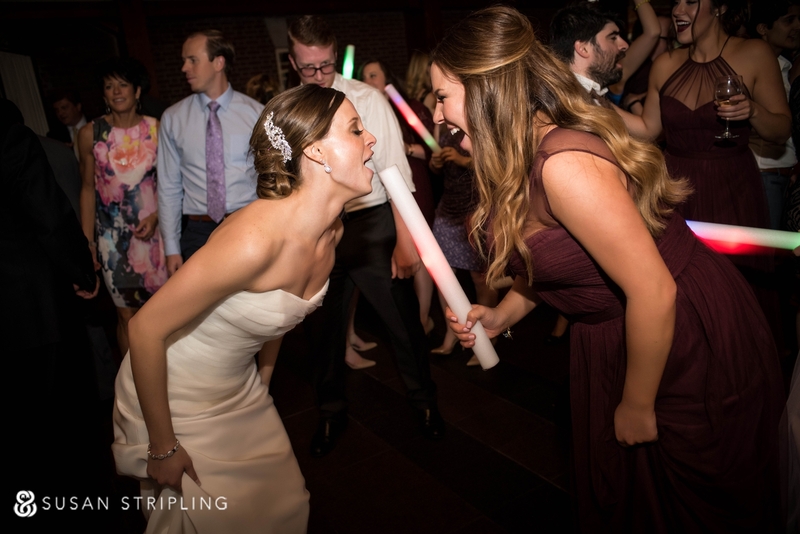 Being a wedding photographer means that I always have to be ready for moments. Sometimes they’re in your face, and you can’t miss them. Sometimes you have to go looking. I followed the bride and groom after their recessional, and found them alone in a small side chapel of St. Barts. It is never my intention to disrupt such tender moments. For that reason, I stayed further back with a longer lens and just let the bride and groom be alone. What a marvelously tender few minutes they had before the family formals began! I can honestly tell you that THIS is the coolest “going away” idea EVER. 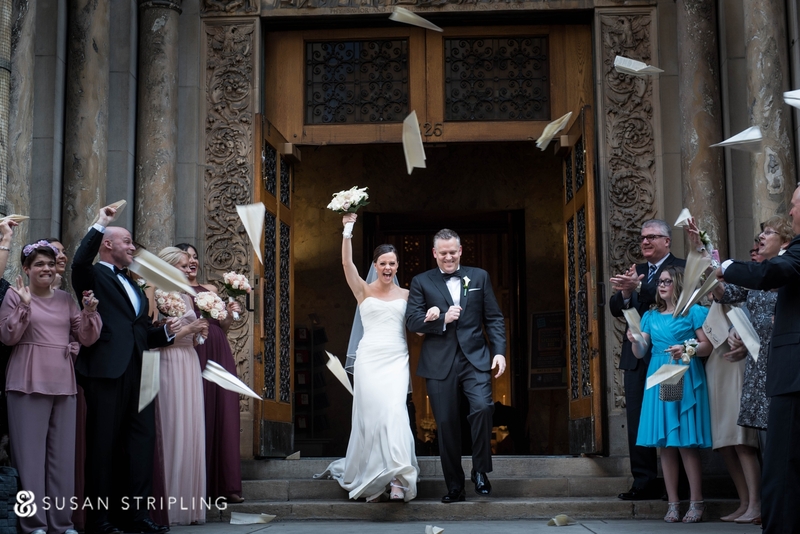 The bride and groom created wedding programs that folded into paper airplanes. When they exited St. Barts, the guests threw the airplanes. It was a sweet, fun moment and a wonderful departure from the usual rice or confetti! 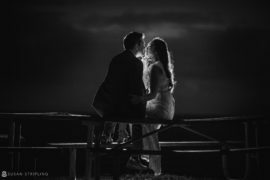 Before heading to Central Park for more portraits, we took a few minutes to take pictures of the bride and groom together in St. Barts. 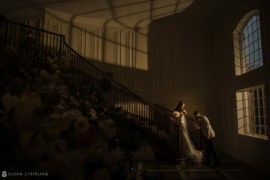 I love finding amazing light in unconventional places! 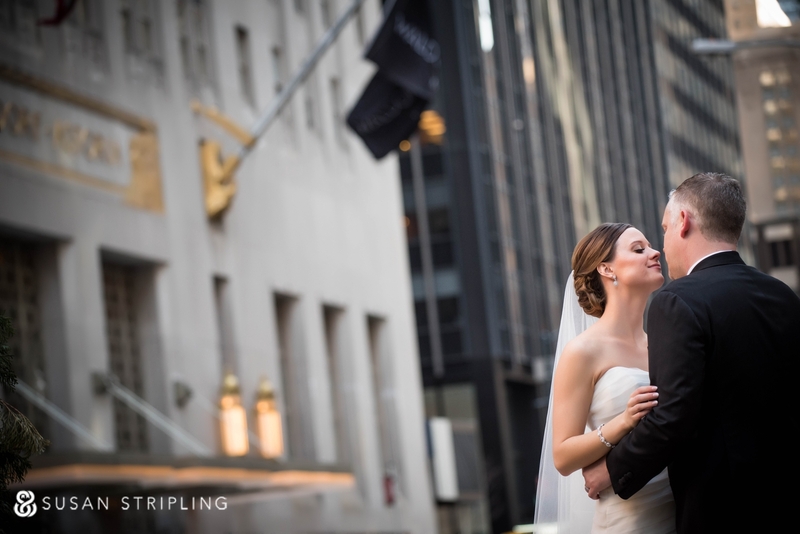 Images with Manhattan in the background were important to both the bride and the groom. There are so many iconic backgrounds around St. Barts. We were able to work in the neighborhood for a bit, creating portraits in the streets and on the sidewalks, before heading out to Central Park. The first thing I look for when creating a portrait is the light. 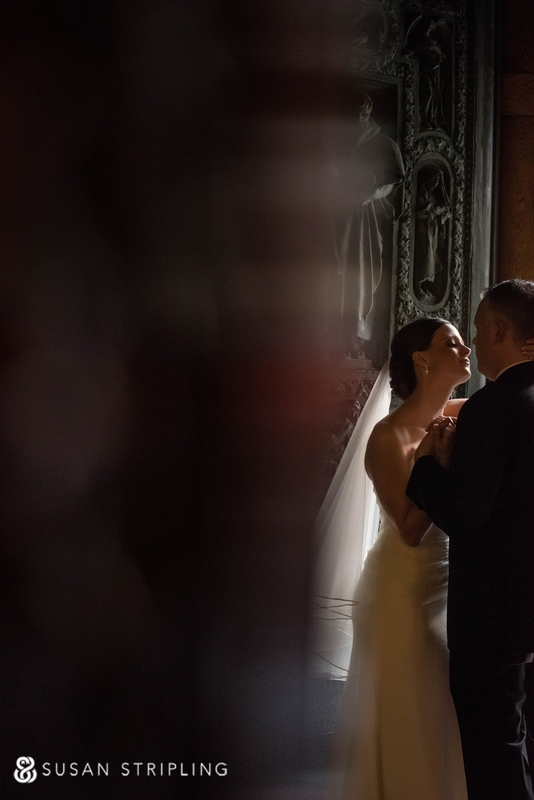 This gorgeous pocket of light inside St. Barts made for the perfect setting for a bridal portrait. 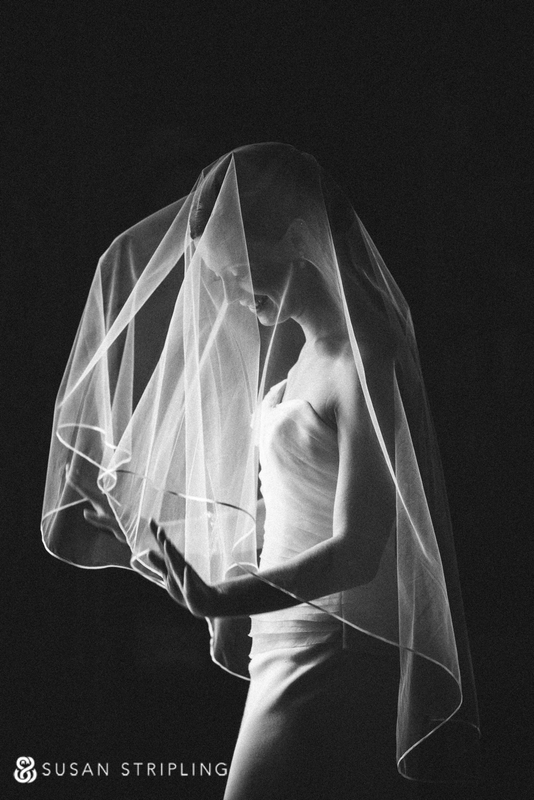 I love the bride’s stunning Selia Yang wedding gown and delicate veil. 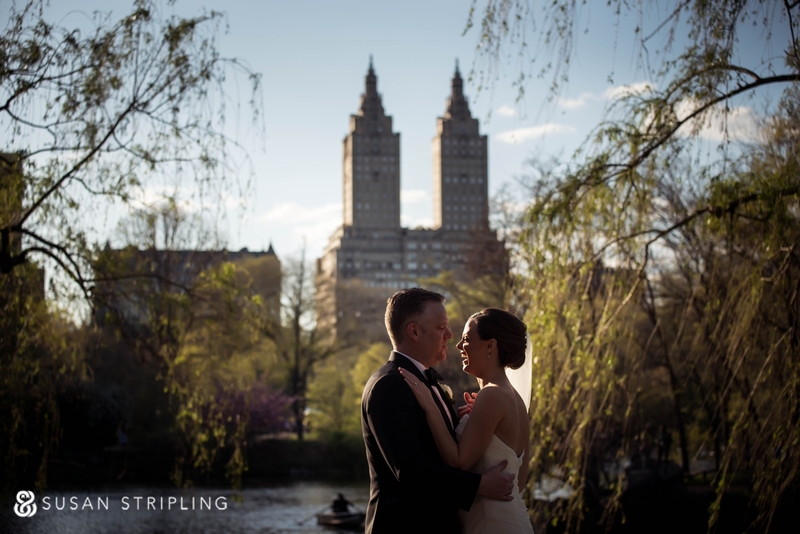 It was time for a few more moments amongst the yellow daffodils, crazy city traffic, and New York background before we hopped into the limo and made our way into Central Park. Sometimes cars in the background can be a very distracting element to a wedding photograph. Sometimes they can be a beautiful addition! 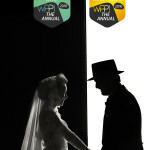 Sara Landon and her team at SL Events went way above and beyond being your average wedding coordinator. I can’t think of many event coordinators who would carry a bride across a fence so that she can get into a great place for a wedding day portrait! Bethesda Fountain in Central Park at sunset is nothing short of magical. 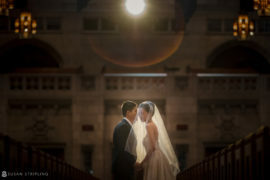 When the light pours through the water and surrounds a couple on their wedding day, well, it’s just perfect. Don’t you agree? The bride and groom had the most wonderfully vivacious bridal party. When Rob Adams of Rob Adams Films asked them to toss their bouquets, they threw them so hard that one actually exploded on the ground! Don’t worry, no bouquets were damaged during this group hug! We spent a wonderful hour in Central Park taking portraits of the bride and groom, as well as some portraits of the bridal party. Once the sun had fully set, then it was time to head to Loeb Boathouse for the cocktail hour and wedding reception. 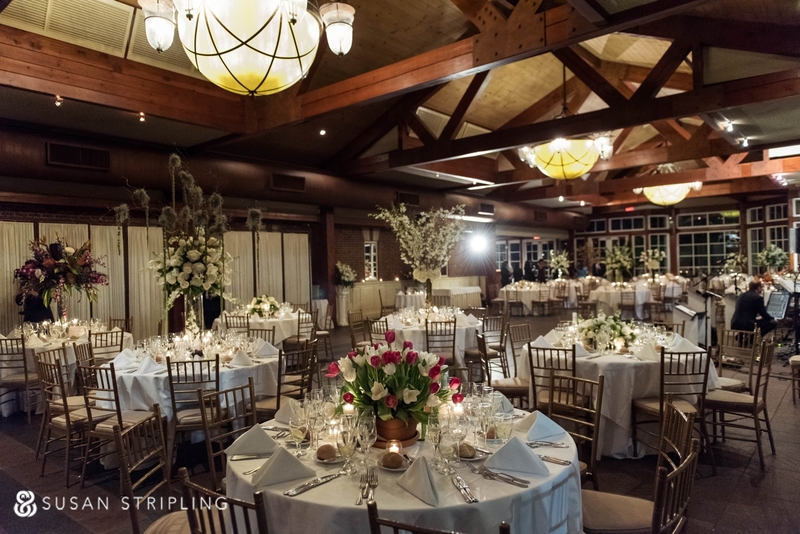 Sara Landon and SL Events worked seamlessly with Cress Floral Decorators to transform the Loeb Boathouse into a fantastic space for a wedding reception. Each table was named after a different city. Therefore, each table had a centerpiece befitting each city. The Savannah table featured spanish moss, which might have been my favorite! After a crazy introduction through a tunnel of glow sticks, the bride and groom took the floor for their first dance! 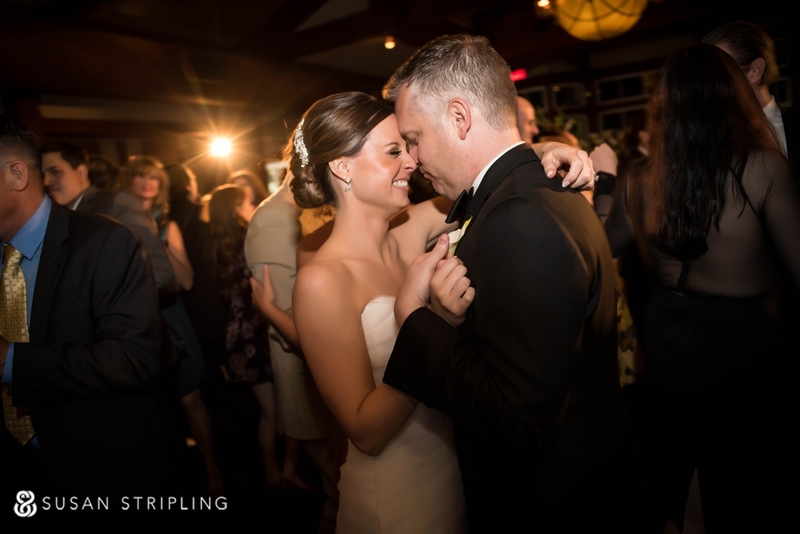 The first dance is one of my favorite parts of a wedding reception. 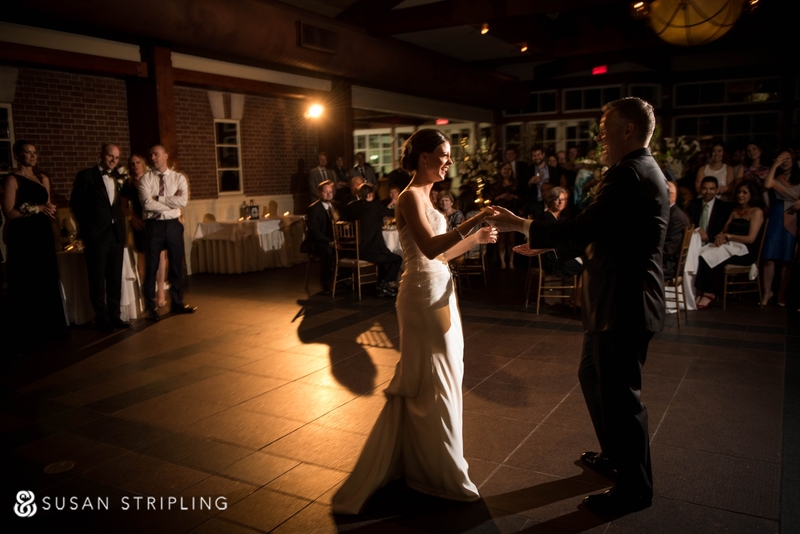 Whether it’s choreographed or just a simple time for the couple to hold each other and twirl around the floor unscripted, it’s always a wonderful opportunity to document naturally unfolding moments! The first dance moved effortlessly into the first dance set. The floor was PACKED, and remained packed for the rest of the reception! 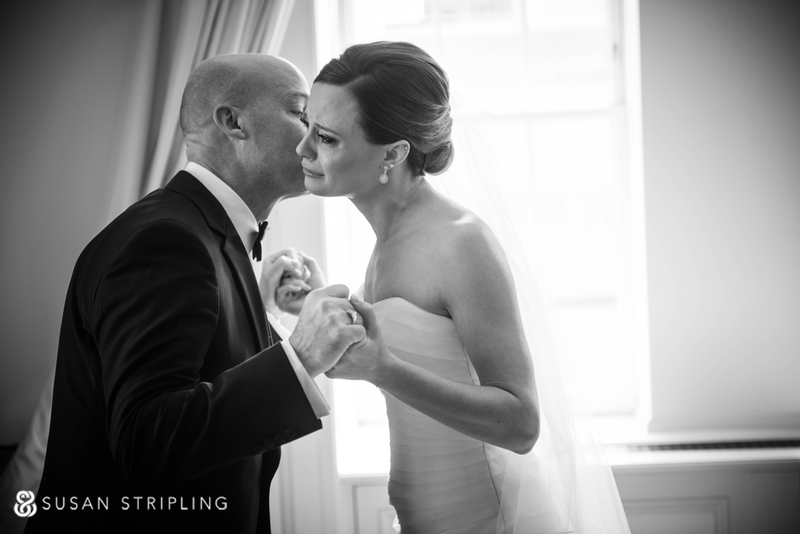 The bride’s brother surprised her by singing during her dance with her father. 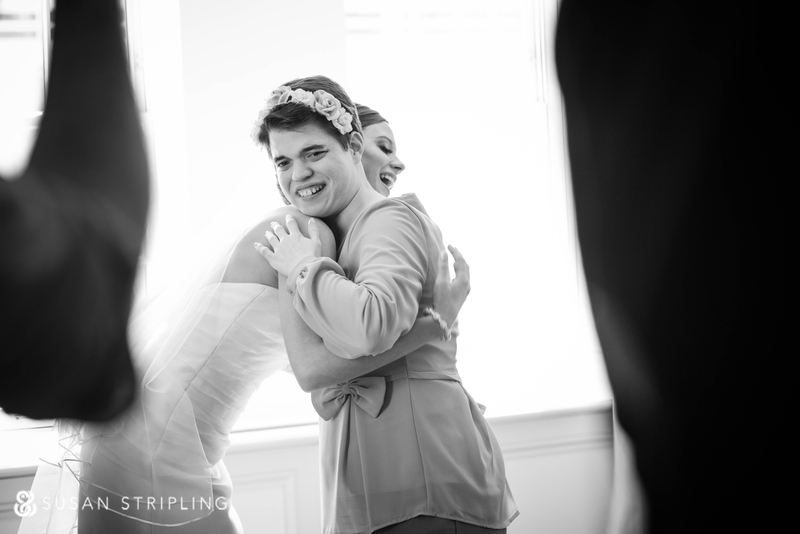 What followed was one of the loveliest moments I’ve ever witnessed at a wedding! 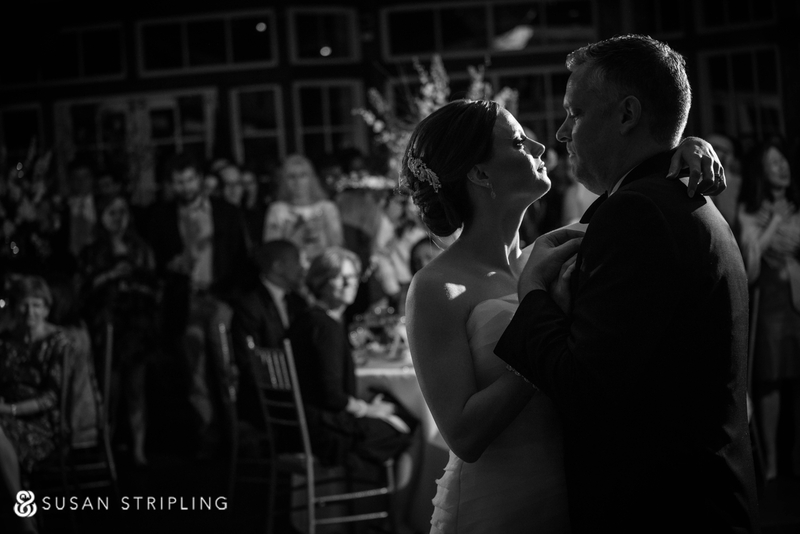 Her husband joined her on the dance floor, followed by her mother, then his mother. It was a wonderful group dance, and such a joy to photograph. 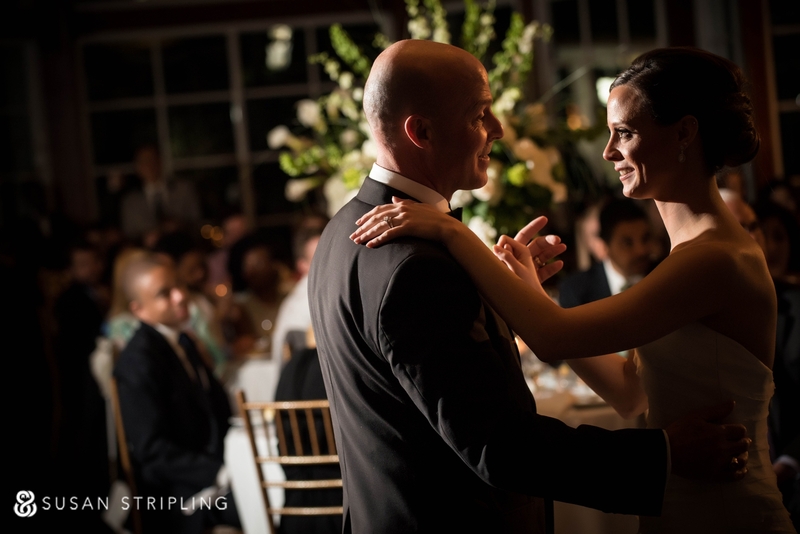 I love how the groom is dancing with his mother in the background of this image of the bride with her father! The glow sticks made another appearance later in the night! The staff of the Boathouse passed them around to the guests, and they made their way to the dance floor! 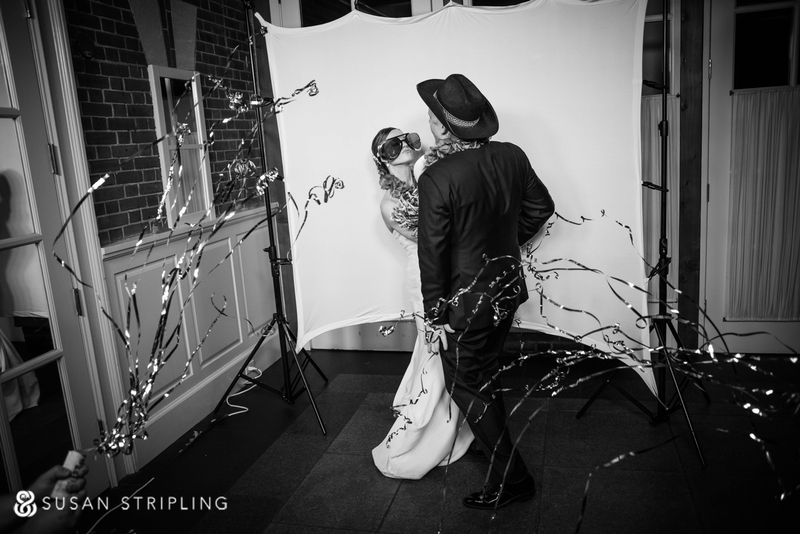 The bride and groom hired the Slow Motion Booth to entertain their guests during the wedding reception. It made for some great videos, but it also made for some stellar pictures! After all of the ceremonial dances and toasts, it was time to hit the dance floor and stay for the rest of the night! The bride and groom shut down the reception on the dance floor, and so did their friends and family!